So you are planning a trip to St. Petersburg? Whether traveling alone, with your friends or family - our personal guided tours and excursions "a la carte" in Saint Petersburg and its suburbs will be perfectly adapted to your schedule, wishes, special interests and duration of your visit. A complete tourist service for those who want to enjoy the best of St. Petersburg and its environs. You can ask us to create your own program of visit with tours adapted to your preferences, specific requests and tastes and modify schedules and routes so that you will be completely satisfied with your program and make the most of your trip. 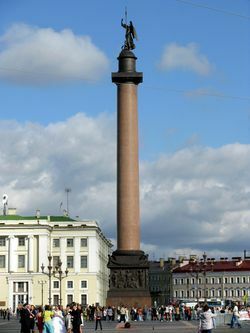 St. Petersburg has many charms and gives you a unique cultural offer that you can fully enjoy only with the assistance of an experienced guide. 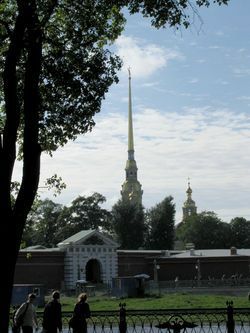 Below we offer you different private St. Petersburg guided tours and excursions in Spanish and Portuguese. Though traditionally we are mostly used to concentrate on individuals, but groups of friends or families travelling together are also welcomed. More number of people in the group – much lower is the price for person! TO SEE THE TOURS AND PRICES, PLEASE CHOOSE YOUR NUMBER OF PEOPLE. All our guides have the State licenses and are fully qualified and experienced. Tours are arranged on comfortable cars/minivans with professional tourist drivers (also we have walking guided tours). The tours are starting from your hotel. After the tour you will be either returned to the hotel or upon request left at any place inside the city.